Margot may have just opened but it already has the feeling of an absolute classic. This comes as less of a surprise when you learn that its owners, Paulo de Tarso and Nicolas Jaouën have together worked in some of the finest restaurants in London and New York including Alain Ducasse and Daniel Boloud, and are now using their combined experience to open their dream restaurant. 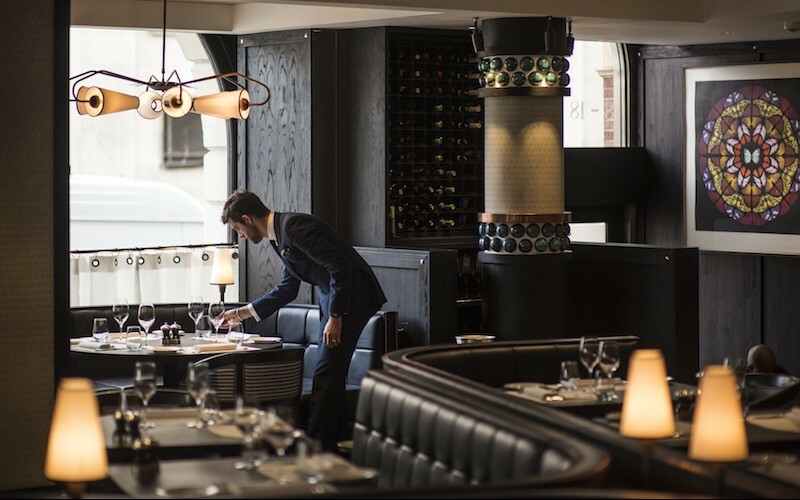 Located on Great Queen Street in Covent Garden, the warm and inviting space has been designed beautifully with classic green leather banquettes, elegant decorative tiles, and a long zinc bar in front of an open kitchen. Despite the name, which is intentionally misleading, Margot serves classic Italian fare, from cured meats, carpaccio and tartare dishes to salads, homemade pasta and a range of meat and fish main courses. Must-orders from us include the steak tartare with black truffle and scrambled egg; the almond-crusted tuna fillet; and at least a couple of the fresh pasta dishes – we demolished the veal ravioli which was a special that night and the hare ragu tagliatelle. When you get to desert, look no further than the dark chocolate and lavender mousse with fresh raspberries and cocoa meringue. Margot is a great addition to Covent Garden and with a strong start like this, we’re sure it’ll be around for many years to come.